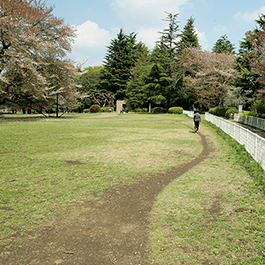 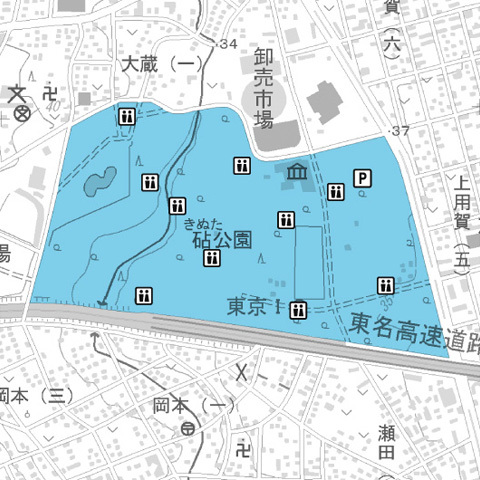 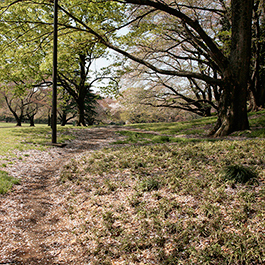 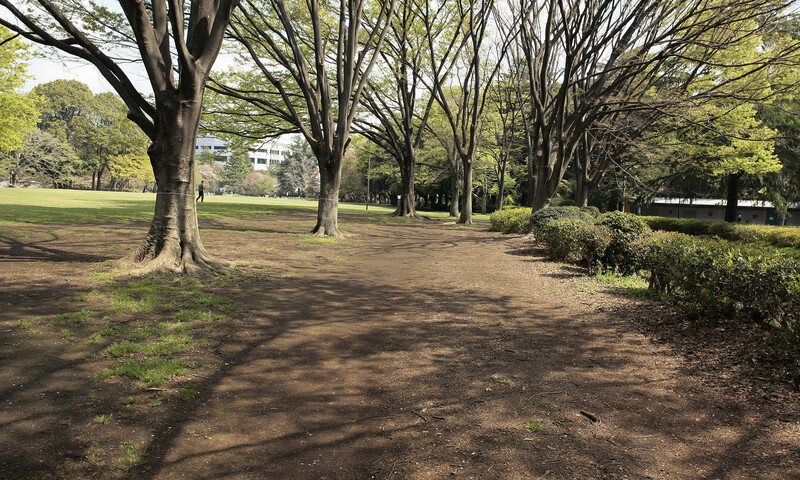 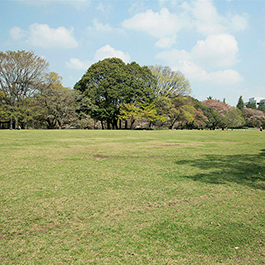 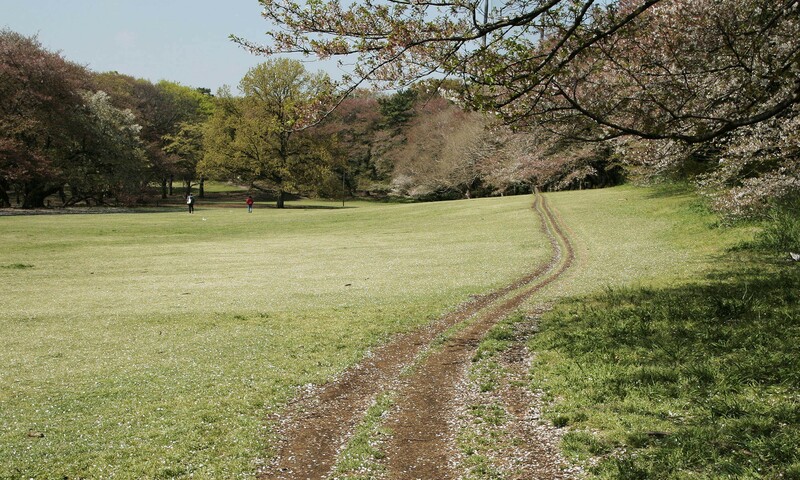 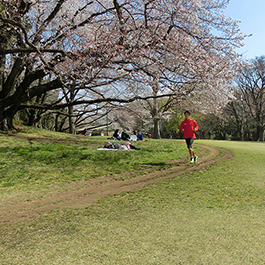 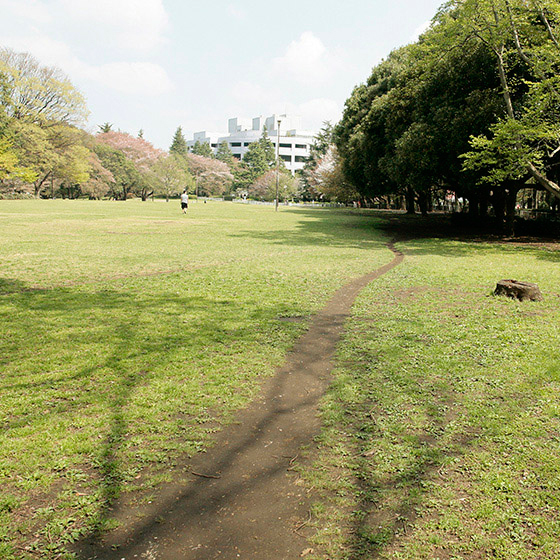 Nowhere else in Tokyo’s 23 wards can you run this far on the lawn. 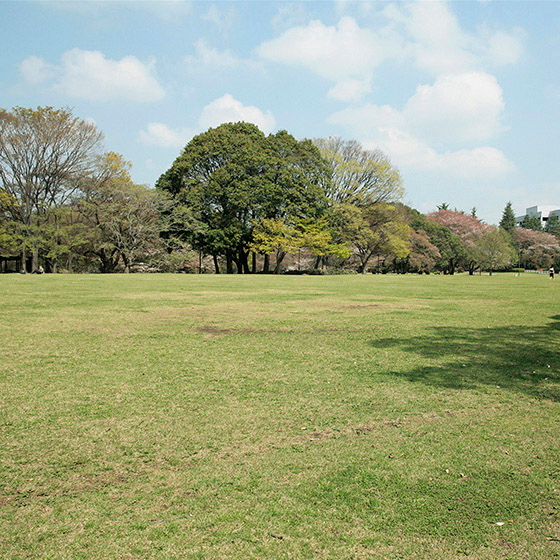 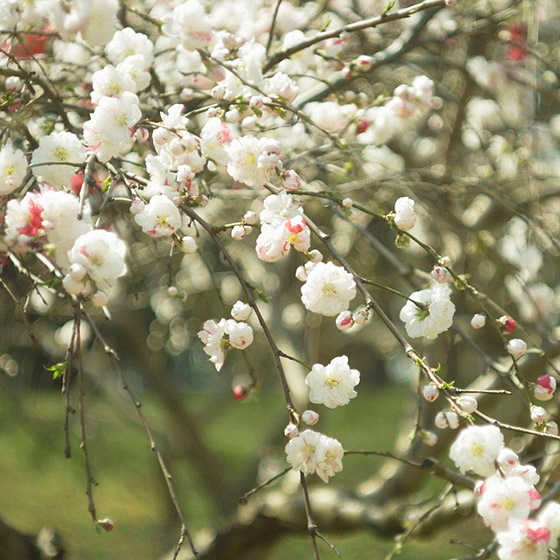 This park was created for people to touch and enjoy the lawn and is very well maintained. 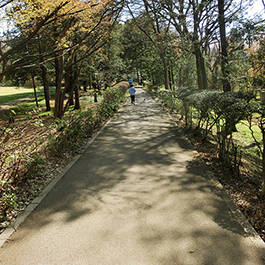 Though it’s not an official track, there is a narrow track that probably formed gradually by a series of lone runners following the same path. 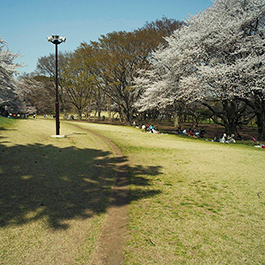 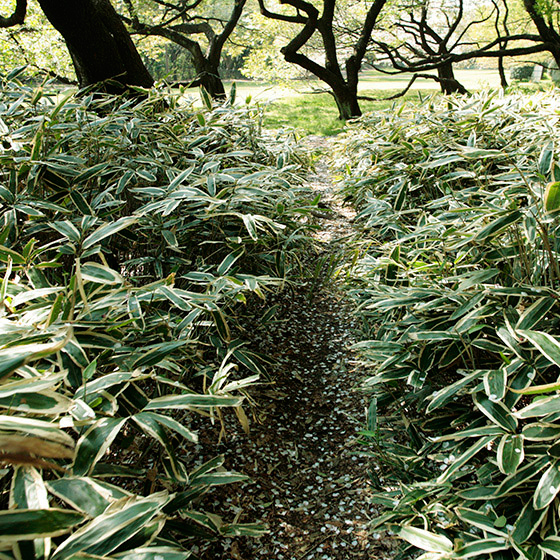 Running on natural terrain such as lawn has a variety of effects. 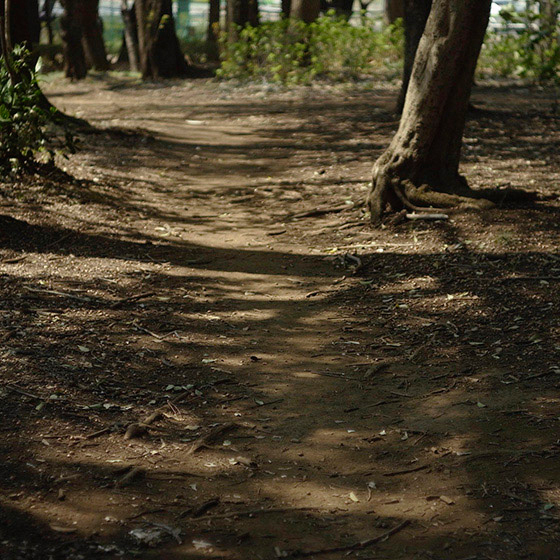 One is balance. In a race, you have to be able to run well even if you don’t have complete balance, and you have to be able to run even when the ground feels different. 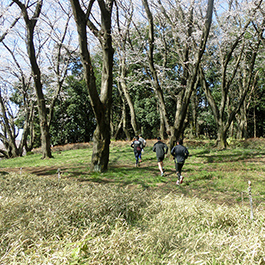 When you run on rough terrain, you naturally learn to skillfully shift your center of gravity and how to keep your axis steady while running. 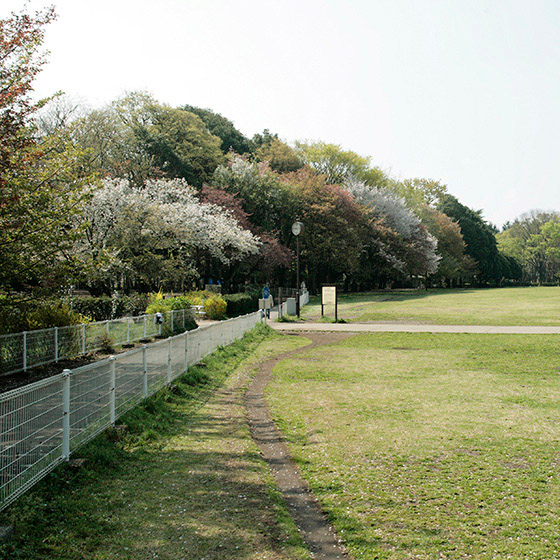 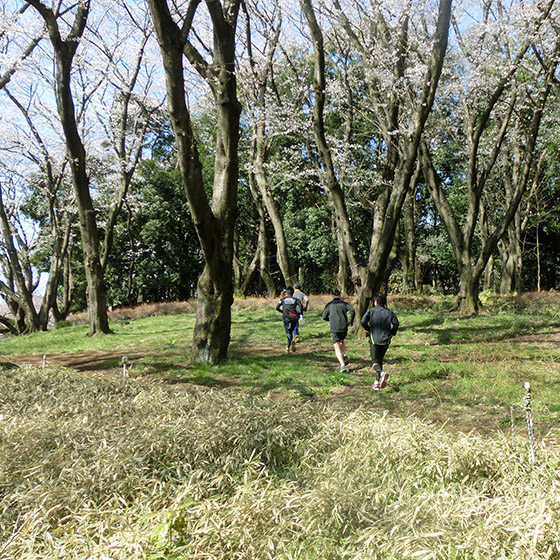 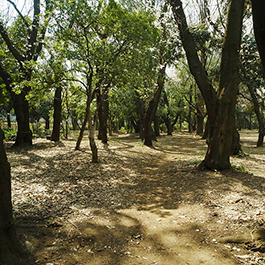 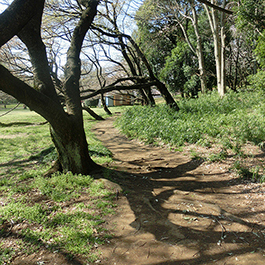 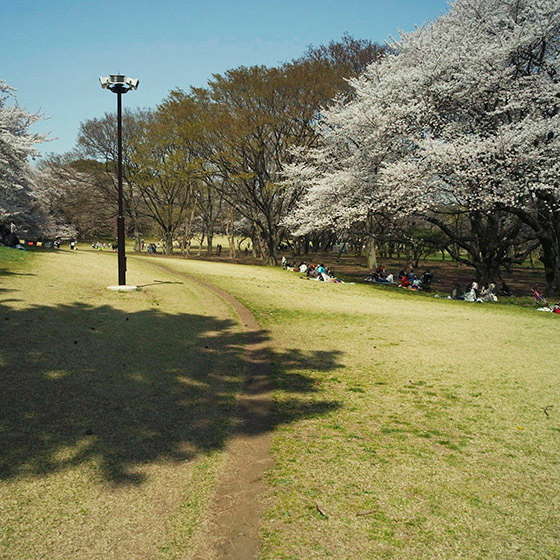 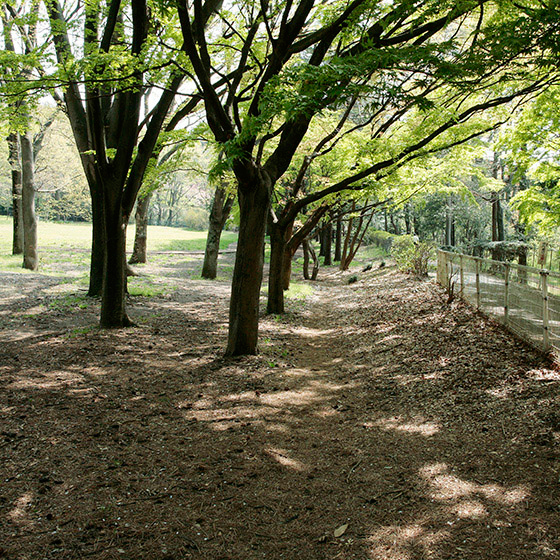 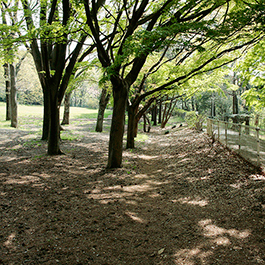 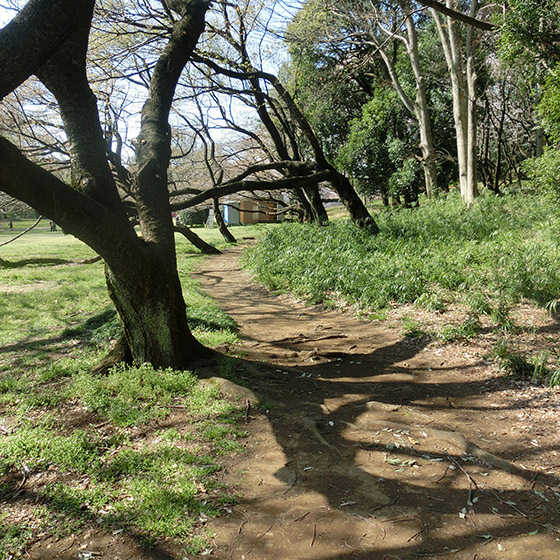 Kinuta Park lets you experience what it’s like to run without complete balance, the same as in a race. Another feature is that there is less damage to your legs. 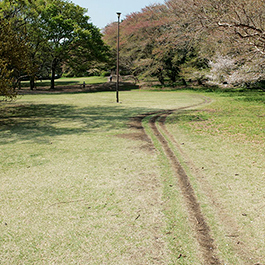 Asphalt is not good for your legs. Japanese people like running on asphalt, but people overseas are very mindful of not running on it. 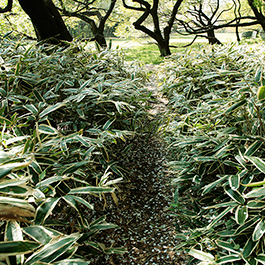 It’s better for your legs to run on natural terrain or lawn. Born in Tokyo in 1987. 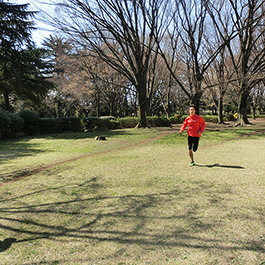 After attending Rikkyo Ikebukuro High School and Keio University, he joined the Fujitsu Track & Field Team run by the business group. 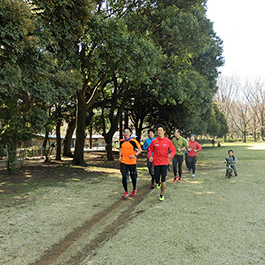 He is a top athlete who represents Japan in middle distance running, being a six-time winner of the men’s 800m final at the Japan National Championships. 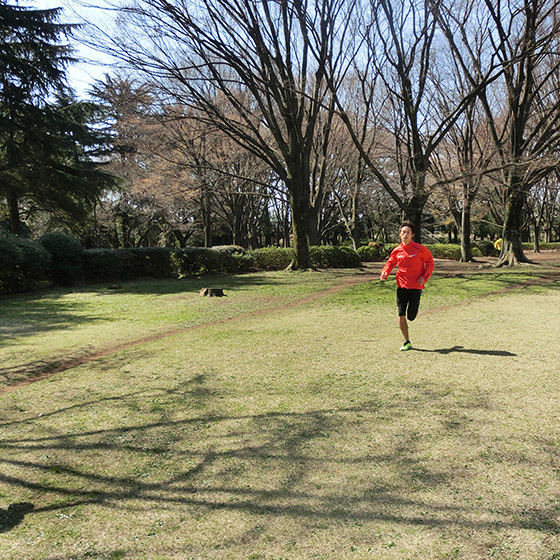 He represented Japan at the London Olympics. 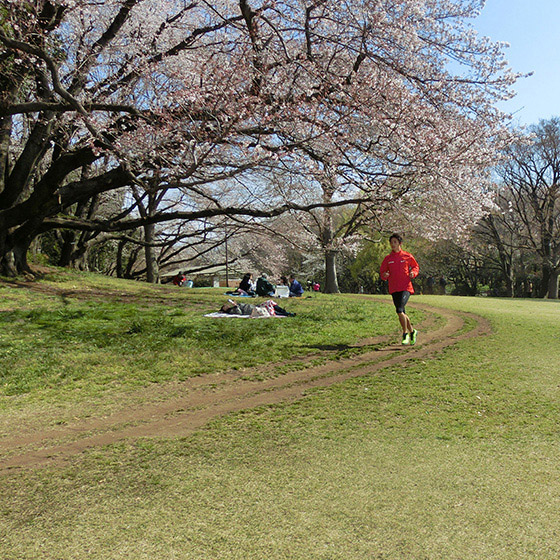 In October 2009 he recorded a time of 1:46:16, setting a national record in the men’s 800m for the first time in 15 years.